For Indonesia, with its more than 17,000 islands and an economy highly dependent on natural resources, understanding the implications of climate change in the global environment is essential. With the government's strong national focus on poverty reduction, it is crucial to analyze the economic impacts of climate change to ensure that efforts to lift the population out of poverty are designed in a way that accounts for climate impacts. This study* presents an estimate of the costs that will be imposed by climate change in the year 2050 in three areas: agriculture, health, and gradual sea level rise (SLR). The estimate is only for 2050, it is not cumulative, so the increasing costs imposed in years leading up to that date are not included. Within these areas, key impacts examined include: the change in value of soybeans, corn, sugarcane, and rice; economic losses associated with dengue fever and malaria; and the change in value of homes, offices, industrial areas, fields, and aquaculture facilities that will be flooded as the sea level rises. These are considered with respect to expected changes in temperature, rainfall, and gradual SLR in 2050, and valued at the most recently available present market values. This study provides insights into the possible future without adaptation. It conveys evidence to aid decision-makers as they weigh the risks of climate change and integrate climate risk management into their development efforts. International and Indonesian policy analysts and decision makers in government, civil society, and the private sector can use this information to inform decisions related to policy, planning, technical assistance, and budgeting and identify issues for more detailed analysis that will refine the understanding of the economic implications of climate change and the need for adaptation. *Download the full technical report from the right hand column. Find the brief for policy makers and a summative infographic in the links below. 1.The total costs imposed on Indonesia in 2050 by climate change in these three areas of impact are estimated at 132 trillion Indonesian rupiahs which, at present prices, would be 1.4 per cent of today’s Indonesian economy as measured by GDP. The greatest financial impact of climate change will be due to decreased agricultural output, which accounts for 53 percent of this cost. Health impacts account for 34 percent, while gradual SLR accounts for 13 percent of the projected costs. 2. The overall negative impacts of climate change will fall disproportionately on Jakarta, the capital, which will experience 25 percent of the total projected costs through the combined effects of dengue fever and SLR. Jawa Timur, Jawa Tengah, and Jawa Barat provinces account for 19 percent, 15 percent, and 9.5 percent of total costs, respectively; these losses are overwhelmingly agricultural. 3. Not all impacts are negative under the parameters used in this study. While total agricultural impacts are negative nationwide, the value of agricultural output is expected to rise in some provinces due to increased rainfall which could, under favorable conditions and with other measures, lead to more production of certain crops. In per capita terms, Lampung and Gorontalo provinces are potentially the biggest beneficiaries; the effect is more pronounced in Gorontalo because of its small population. 4. Jakarta will see the biggest losses in per capita terms, along with Sulawesi Utara and Papua Barat provinces, both of whose small populations mean that their losses fall more heavily on each resident than would be apparent from their total provincial loss. 5. Most costs imposed by health impacts come from an increase in dengue fever, typically an urban disease. More than half of that impact will occur in Jakarta, where the incidence of the disease is expected to grow rapidly. 6. Effects of SLR will be felt nationwide, but the greatest costs imposed by gradual rise will occur primarily in Jakarta due to the high property values of the capital region. 1. In general, the GOI should discuss these results with provincial authorities to inform local planning and budgeting. Climate change will have implications for agriculture, health, infrastructure, and general development in both expenditures and revenues. 2. When considering adaptation strategies for these sectors the benefits and costs of various actions should be considered in the context of the projected costs shown in the report. 4. The responsible authorities should plan now to avoid or alleviate the clear significant negative consequences for Jakarta associated with dengue fever. Similarly, in many provinces the conditions for malaria will worsen and authorities should be planning or initiating programs for this. More research should be carried out on links between disease and climate, including not only of the expected increased incidence but also of the possibility that some changes in climate may actually hinder the spread of certain diseases in some locations. 5. Actions against gradual SLR must be chosen carefully: The study shows negative effects of SLR nationwide, but the costs foreseen are almost all incurred in urban areas where property is much more valuable and adaptation will be most costly. Both policy makers and private investors working on shoreline development should be extremely interested in this. 6. Extreme storms and weather pose a great economic threat: Analysis of the probability of extreme storms in different parts of the country would be very valuable in identifying the costs they will impose and setting priorities for investments in adaptation. 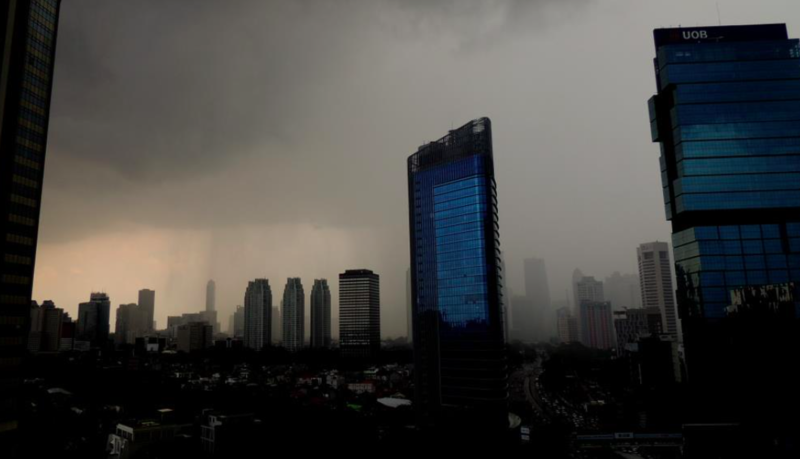 Policy makers must order more detailed analysis of the impacts of extreme storms on large urban areas, particularly Jakarta. In particular, work that can consider the macroeconomic or multiplier implications of the loss of key urban infrastructure will be essential to set priorities for investments in adaptation or strategies to minimize the harm caused by such storms. The private sector must anticipate these problems as well; every company whose business relies on transportation through the harbor or airport should create plans for continuity of its operations in the face of such extreme storms. 7. To identify optimal implementable policy responses much more information is needed on certain aspects. In particular, more work is crucial on links between climate change and agricultural yields given the huge monetary impacts involved. 8. Work on the probability of extreme storms and the costs they would impose in different parts of the country is also very important, particularly the macroeconomic implications of flooding on nationally important transportation infrastructure in Jakarta. More generally, flooding and drought have direct costs and multiplier effects throughout the economy and these should be studied. 9. Indonesia cannot wait until 2050 to act: This study projects the situation in 2050 in specific areas of impact under specific parameters. As climate change is gradual, it may be assumed that the conditions described for 2050 will evolve between now and then, and that Indonesia will increasingly and inexorably experience the costs and benefits each year. This means that policy makers should not wait until the future to implement changes that either lessen or take advantage of the impacts. Hecht, J.E. (2016) Indonesia: Cost of Climate Change 2050 - Technical Report. Climate Change Adaptation, Thought Leadership and Assessments (ATLAS), United States Agency for International Development: Washington D.C.